In this guide we’re going to show you the extremely easy way you can watch blocked Youtube videos. 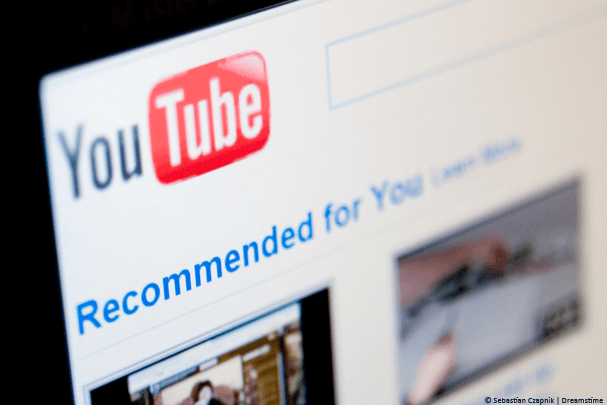 Youtube has again been in the news after a huge selection of videos were blocked in Finland due to issues with local content licenser TEOSTO. This echoes previous issues with German GEMA which caused masses of music videos and videos containing copyright music from being blocked from access within Germany. Finland and Germany are not alone and no matter what country you’re in then you’re likely to have faced blocked videos. If you haven’t yet, you probably will do in the future. Below we show you how you can watch blocked Youtube videos anywhere in the world in just 5 simple steps. Watching blocked Youtube videos on your computer is probably the easiest to achieve. The reason you’re blocked from viewing most videos is because they’re restricted in your country or restricted to another country. To unblock these Youtube videos you’ll need to get yourself some software called a VPN. Follow the 5 simple steps below and you can unblock Youtube videos on your computer in no time. Go to the Apps area of their website and download the software for your Windows or Mac computer. Install the software, run it and log in when required. Select a country other than your own. 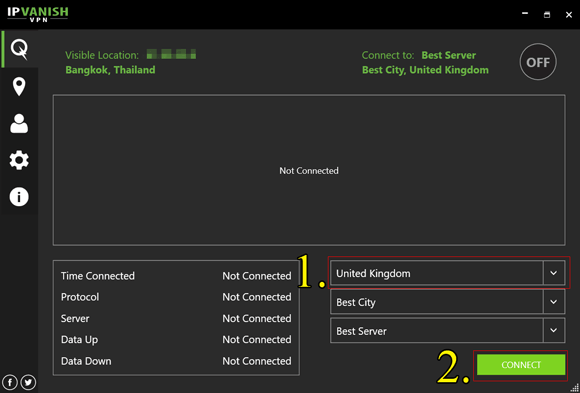 For example, if you’re in Finland you can select the United Kingdom. Just select a country that is outside of your own but near enough physically. It takes around 30 seconds for the software to connect. When the software has connected just reload the Youtube video that was previously blocked. You’ll now be able to watch without any issues. Watching blocked Youtube videos on a mobile or tablet is also really easy. You’ll need to get yourself a VPN app for your mobile device just like the computer example above and you can even use the VPN app on both your mobile device and computer from the one account. Follow the 5 simple steps below to unblock Youtube videos. Visit the VPN provider IPVanish and sign-up to their service. Go to the Google Play Store or the Apple App Store and search for “IPVanish“. Install the app and launch it. Login when required. Select a country outside your own. Just like the computer software, the app will take no longer than 15 – 30 seconds to get connected. Once it has connected you should launch your Youtube app. Any video that was previously blocked will now be unblocked. Often certain videos will be restricted to be viewed within a specific country. For example in 2017, the sports channel BT Sport in the UK showed both the Champion’s League Final and Europa League Final live on Youtube for free. The catch was that you had to be a resident of the UK to watch. If you were outside the UK you were blocked from viewing. To watch videos such as this all you need to do is select the specific country on the IPVanish software or app. For example, to watch the BT Sport Youtube streams, select the United Kingdom and Connect. No matter what country you’re actually in, Youtube with think you’re in the UK and let you watch. It’s almost impossible to say why a video is blocked in a specific country. There are numerous reasons. The most common is Youtube does not have the copyright holders permission to stream the video or music in that specific country. This was the case with GEMA in Germany and the TEOSTO issue in Finland. Other reasons can include that the content is deemed unsuitable for broadcast in that country. This isn’t usually a stance that Youtube takes but more a request from the local government. You’re most likely to see these types of blocks in countries such as India, Malaysia, Thailand and any others that have relatively restrictive internet. Of course the most common is China where Youtube is entirely blocked, but even a VPN can help you unblock Youtube in China too. IPVanish is our recommended VPN provider for unblocking Youtube videos. We recommend them based mainly on their fast access speeds. Streaming video requires good speeds, without good speed you’ll be plagued by buffering which will ruin anything you’re watching. They also have access locations (VPN servers) in more than 60 countries around the world which gives you plenty of choices to connect to, to unblock videos. They all work the same as IPVanish, just simply sign-up, download the correct software or app for your device and then connect to either the specific country you need or connect outside your country. If you want to access Youtube the way it was intended to be without restriction and without blocked videos then a VPN service really is essential. You should be careful what VPN service you sign up for because not all are fast enough for streaming video. We recommend IPVanish who have been tried and tested and work great for unblocking blocked Youtube videos. You can get a VPN for accessing blocked Youtube videos by clicking the link below and following the instructions from earlier in this guide.